Do you want to illustrate our next fanzine? Be the artist of our fanzine! 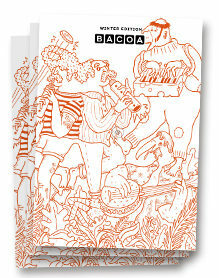 Do you know the Bacoa Fanzine? It’s a quarterly publication, with information about us, our recipes and other ideas and projects that we love. It’s something simple and cool for you to know us a little more. 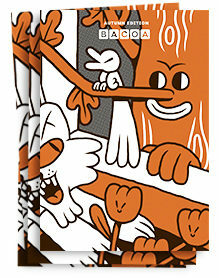 If you want to illustrate our fanzine, send us your portfolio or an illustration that defines you at [email protected]. 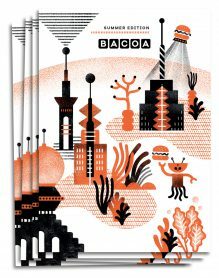 If you win our hearts, we will contact you for the full job valued at 1.000€: 4 illustrations plus cover and back cover. Keep in mind that we print about 50,000 copies of each fanzine, which get exhibited at all our venues in Barcelona, Madrid and Lleida. Considering we serve thousands of people everyday, that’s seriously good exposure! Of course you will be fully paid for your work and we’ll also publish an article about you and your artwork on our website.